We've received a number of requests for information on how to forward tributes or condolences to the Allen family. We invite you to share your thoughts and memories of Steve Allen by e-mailing us at staff@steveallenonline.com. I'd written especially for him, based on famous bits from his shows. The commercials were just for a Washington, DC-area car dealer represented by the small ad agency I managed, but he approached them as if they were VERY important. He was an exceptional man - not just for all he did in a long and rich entertainment career, but for the special care he took, working for a green 23 year-old writer-director with limited time to get the spots done. In between takes, playing at the on-set piano, he complimented the writing and its faithfulness to his comedic style. When we were all done he encouraged me to seriously pursue my goal of someday working in Hollywood. He even asked me to get in touch when I came to the Coast. the editor" skit, went on to win a regional Emmy Award. Years later, when we met again I finally got to thank him, and he was gracious and complimented me on a film I'd written that was nominated that year. For all of his accomplishments, maybe his finest was that wonderful gift he had of making the person he was talking to feel so very special. Steve Allen didn't invent TV, but along with Ed Murrow, Dave Garroway, Alistair Cooke, Ernie Kovaks, and a handful of others, he proved that brilliant ideas and original concepts could and would draw people to the new medium. The term "Renaissance Man" is much overused today, but Steve Allen was such a person; a man of rare humor and quality, in this, or any age. I am so sorry to hear of Mr. Allen's passing, yet I am oddly relieved to hear that it was painless and peaceful. My prayers are with his family. where it was OK to be smart. It was not only OK, it was GOOD to be smart. To a lonely girl, it was heaven for an hour to be with a fast, funny, intelligent mind, a kindred spirit, I thought. It meant a very great deal to me at the time, and so ever afterward I have followed his career and writings with great interest and affection. I never met him, yet he did more for me than I could possibly have told him. brought to all of us, and his trenchant comments and observations. He understood the art of comedy as no one else. His musical talents, too, were much appreciated. I admired his ability when he would ask the audience to input some random notes for him to construct an immediate song. He introduced us to the talent of many other actors and comedians, especially Don Knotts, Tom Poston, and Louis Nye. Everyone enjoyed Steve's antics in Hollywood outside the studio, having fun with the Ranch Market, bringing us colorful characters such as Gypsy Boots and his wife. I know everyone got a kick out of Steve's hilarious laugh, not to mention Jayne's; together, they produced a wild, bird-like cackle that was really infectious. We should all be infected with such uninhibited, happy laughter! will miss him, although they were together so long and seemed so close, that a part of him must always remain with her. We will always miss Steve Allen; he was one of a kind. No one could talk to the hip and the square like Steve Allen. No one could cut equally through reticence or pomposity with humor and kindness like Steve Allen. 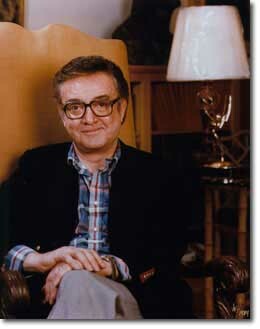 No one taught me better how to be thoughtful, intellectual, hip and silly like Steve Allen. No one has been a better example to me of how to be a multi-talented person always open to new possibilities like Steve Allen. And no one could hypnotize a chicken on Vine Street like Steve Allen. Thanks for all you have shown me. We offer our condolences to the family of Mr. Steve Allen. We need more people like him to speak out on the T.V. decline in values to our families. you choose to be your mother and father.?" I can't remember who I picked to be "Mom," but the only choice for "Dad" was Steve Allen. True genius comes along only once every century or so. This was the man for whom the term "genius" was invented. Regrettably, I never met Steve Allen. Still, I will miss him. Thanks Steve for giving us the start of something big!!!! I am an avid fan of Mr. Allen and have collected most of his books. He was my "favorite" author and his books always made me laugh! I was deeply saddened by his death and would like to tell Mrs. Allen and his family how much we all will miss this wonderful human being. My prayers, along with the prayers of many others, will be with Mr. Allen's family. God bless you all. I just wanted to add my condolences to the family and to say that I have loved Steve Allen since I was a 16 years old and watched him every Friday night. I will never forget his enthusiasm and his talent. I can't begin to tell you how much I loved him and his show. I am now 54 years old and the news of his passing saddened my greatly. The entertainment industry has lost one of the greats in his field but more importantly the world has lost a fantastic human being. May he rest in peace. I'm a little young (39) to remember Mr. Allen's "glory years" on television, but I grew up watching him as a guest on many, many talk shows. I always admired his incredibly quick wit, his wonderful musical talent and, most recently, his courage in speaking out about the "vulgarians" who have taken over our world. Thank you for everything, Steve. My wife and I are in our sixties and grew up with Steve Allen on the early television. There has never been, nor ever will be a more class act. His was the example of how the media should be run. The world will miss him, but we shall never forget what he has contributed to the television world and to our own personal world. A bright shining star has died out, but his light will shine on forever. Thank you for all that you have given the world of entertainment. Being grandparents, we know the pleasure that was his on the last day. To spend his last hours with the ones that he loved and to quietly pass on is a fitting end to a peaceful man. God Bless you and your family. Steve Allen was probably the most intelligent person in show business. He took a stab at every part of the performing arts. Sometimes he succeeded, other times he fell a little short but he kept trying. He was certainly an inspiration to many people, including me, to give it all you've got in life. I always enjoyed hearing him talk because he always had something to say in a very witty and engaging way. produced records, he produced television shows, he was a social activist for all the right causes. The world is now a lot dumber without him. material to enjoy for years to come. I stood my ground to watch two shows as I was growing up: anything with Ernie Kovaks or Steve Allen. Their comedy was ground-breaking and special. Jose Jimenez (Bill Dana) says it for me from his astronaut sketch: "I plan to cry a lot." doesn't see much any more. He's one of the "high water marks" of the industry that will forever set the standards by which I gage my endeavors and aspirations. I will miss him. I guess heaven figured we'd had him here long enough here on earth and needed some entertainment upstairs. So, thanks for sharing him with us. Good bye Steve, Thanks for the Memories. I have never been 'star struck'. People are people. Steve Allen was special. He was intelligent and talented. His sense of humor was exceptional. My condolences to his family. They are very fortunate people because he was in their lives. What beautiful memories they must have. Today was a very difficult day for me to live, knowing that Steve Allen will no longer write a song, make a clean joke, or just look at himself in a TV monitor with hair askew and hit smunched down on his head, laughing at his image and not being able to control himself. I recall the time Steve ran, during a commercial break in Hollywood, across the street, up an elevator to the top of the Capitol Records building, to play music while the camera did a 360 degree panorama around him. People thought it was some sort of special effect hijinks, or the miracle of the new recording medium, videotape. As a child of television, I am truly sorry for the loss of such a genius. My heartfelt sympathies goes to his entire family and close friends. Thanks for your wit, grace under the conditions of live television, and honesty, Steverino! for 15 minutes and our paths crossed I would stop and enjoy. Brilliant and Funny, will I ever see that again, and that laugh ...Oh my it would just break me up to see him laugh, I swear I didn't even have to hear the joke I would laugh. my home town of Fort Smith, Arkansas. What can you say? He WAS Steve Allen, it was like slipping into your favorite pair of shoes. No surprises, other than witnessing in person his remarkable talent and yet feeling he was just a regular guy, just like you. tribute that can be made to Steve Allen, to be appreciated and loved by each succeeding generation. Steve isn't dead, he's just finally taking a break. Much love to the always lovely Jane. We have lost a national treasure. I was too young to witness most of Steve's earlier work but was introduced to his humor and wit by my father, who implored us to watch old clips, listen to his music, read his books and above all, learn to think discriminately. Comics of our generation (especially Dave Letterman, I think) appropriated many of Steve's ideas and many have credited him with influencing their careers. My link to Steve is indirectly personal; my father has hosted a weekly radio show in Sarasota and Fairfax, Virginia before that, devoted to music of the Big Bands and the American popular song. He had an ongoing correspondence with Steve for some time and had visited him in LA a few times; Steve came to Sarasota in recent years to perform and I cannot tell you what that meant to my father - who is on a mission to keep alive the spirit of music from that era. One last thing - "Dumbth" has become part and parcel of the vernacular in our extended family. I am a pediatrician and I routinely recommend the book to my adolescents. It makes them think and if Steve had a better legacy, I can't think of one. Dan Roth, M.D., Wilkes-Barre, Pa. I feel part of my childhood is gone. I was, and still a big fan of the great icon of television. I still remember, as a young boy, sitting around the TV with my family watching him and laughing our heads off at his crazy antics. He will dearly be missed. We'll all miss you, Steverino down here on earth, but are intrigued with the thought of the calls of "Smock! Smock!" being heard behind the pearly gates and Burns and Allen and Benny getting to see one of the "youngsters" join them and Mel Torme seeing his old chum. My sincerest sympathy to the family for your loss but our thanks for sharing him with us for all these years. I am very saddened by your loss. Steve Allen was a star. Not "a TV star" - but a beautiful, shining light in a sea of darkness, and, to anyone who thinks, who cares, who creates, the world is so much sadder, so much drearier than it was yesterday. God bless you, and God bless the soul of Steve Allen. know wherever you are, you're making them laugh. Good bye old friend. Back in the 60's I was fortunate enough to see Steve's show here in Dallas from back stage at the State Fair Music Hall. It was one of the highlights of my life, well, along with marriage and my kids. I'll really miss him. My thoughts go out to Jayne and all the kids. And don't worry Steve, you've left the world a better place! Schmock, Schmock. know that Steve had been the role model. funniest persons alive. Whether he was or not, he made me feel good. Just one more piece of my childhood gone. wisdom. Smile he will like that! someday on the other side and the other is your leaving us too early. language or filthy themes, imagine that! Thank you Steve and Jayne. living room to watch him do the Tonight show, and as a teen I watched him on syndication right up to his last show. Only two men ever lived who made me laugh as loud and as long and as hard. One was Jackie Gleason and the other was Steve Allen. the hearts of so many, for many generations to come. of television's high-water marks. Over the years, my admiration for Mr.
rights. In so many ways, his passing will leave a huge void in this world. many people are grieving with them, and for them. Please accept by empathy for your suffering and pain. helped to save them also. 17) have shared many hours enjoying both of your works throughout the years. experience the priceless film footage of his works. we all were to have been entertained in so many ways by such a talented man. HE WAS A GREAT MAN, A JOLLY GOOD FELLA WITH A VERY LARGE HEART. AN ENTERTAINER, WELL BRED AND WONDERFUL STORY TELLER. HIS LIFE TOUCHED MANY FOLLOWERS AROUND THE WORLD OF WHICH I AM ONE. ADIEU GREAT MAN; GOOD FATHER. YOU'LL SURELY AND SORELY BE MISSED. ED' STANLEY CHUMA IKEAZOR JNR. I would like to offer my families condolences on the passing of a giant. Mr.
with you now and always. No "class" left in entertainment. world. Especially in the world of TV and entertainment . The passing of Mr.
"Hi Ho Steverino". Thanks for the ride! It's been a blast! Forever your fan. Jon P.
I am crushed by Mr. Allen's death, but celebrate his life. book on emotional health and included references to both. Barbara 3 years ago. I still get laffs when I do the "schmock, schmock"
bless you all. Love, Kris Kallman, Santa Barbara. entertainment. May his example inspire others to keep his battle alive. family. A good chunk of me has gone with him. Godspeed, Steverino. Subject: What can one say? the feelings I have on your husband's passing. pay no worship to the garish sun." friends and that he will never, ever be forgotten. laughter offered fun and relief in our stressful lives. Carson, Bob Hope and Milton Berle in his very own special way. moments of the Steve Allen show. becoming an even happier person in ways he never knew. I was shocked to learn of Mr. Allen's passing yesterday afternoon. I remember being captivated by his "Meeting of the Minds" PBS television program, which like so much of his work was a brilliant achievement. It has always been my opinion that Mr. Allen never received recognition from the public for the many achievements and contributions that he has made to our every day lives. "This must be the start of something big" is a song that virtually everyone recognizes, and most people can sing, word for word. Yet few among the public realize that Mr. Allen wrote this song. In many ways this is a metaphor for his fabulous career - he has been so successful in integrating into our everyday lives, that I fear we all have taken him somewhat for granted. I hope that now the public will begin to learn of the vast contribution that this gentleman has made to the generations of people whose lives he has touched. Everything was about quality (with the possible exception of his portrayal of Benny Goodman in that 1956 movie, which I could have done without). I hope he understands that comment, with that infectious laugh of his. God bless his family in this time of grief, and be comforted to know that rather than mourn his death, the would is about to first celebrate his magnificent life.